Stephanie Singh is a Paralegal Associate at Monkhouse Law. 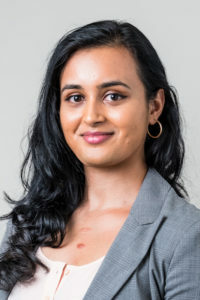 She is a recent graduate of the Accelerated Paralegal program at Seneca College and also holds a Bachelor of Arts (Honours) in Law & Society from York University. At Monkhouse Law, Stephanie assists with drafting and research. She has years of experience in fast-paced environments, such as completing an internship at the Ministry of the Attorney-General’s office and working at a financial firm. In her spare time, Stephanie enjoys reading, trying new restaurants, drinking coffee, and going to concerts and comedy shows.